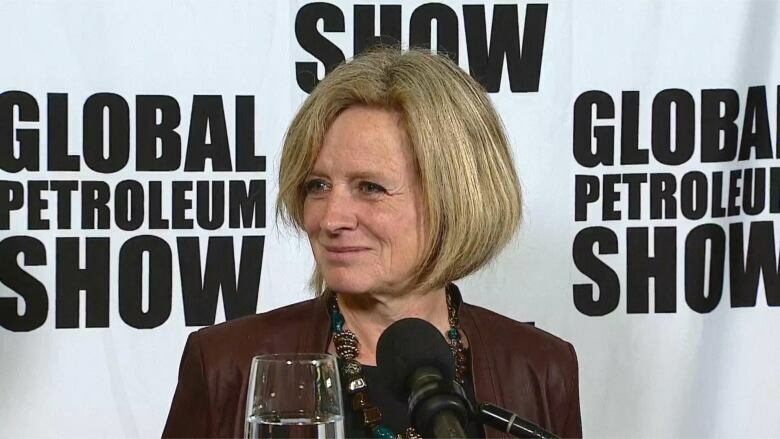 Alberta's premier says the Trump administration's recent attacks on Canadian trade show how necessary it is to go ahead with the Trans Mountain pipeline expansion. Rachel Notley has taken aim at what she called reckless U.S. moves against Canada's steel and aluminum industries. She told the Global Petroleum Show in Calgary on Tuesday that Canada needs to be strategic with its resources and not put all its eggs in one basket. Virtually all of Canada's oil exports go to the United States and the Trans Mountain pipeline would enable sales to Asia via the West Coast. Notley says the United States benefits from Canada's failure to build a pipeline to a Canadian coast and get a better price for its product. "In these days, I've got to say it's getting harder and harder to stomach, with reckless attacks on our steel and aluminum industries and reckless attacks on the hard-working people that those industries employ," Notley said. "I have a message to send to folks beyond this room, to British Columbia and to all Canadians: if the last days and weeks tell us anything, it's that we, as Canadians, need to take control of our economic destiny." "For our American guests, let me just say how brave it is for you to join us here in a country that represents such a hostile national security threat," she said. "I should let you know, that there is in fact a battalion of Canadian geese assembling outside the doors. We've cleared the building of maple syrup and, in fact, if some of you are not really, really careful, we may make you drink your own beer."